Friday – Eucharistic Prayers 9.30a.m. 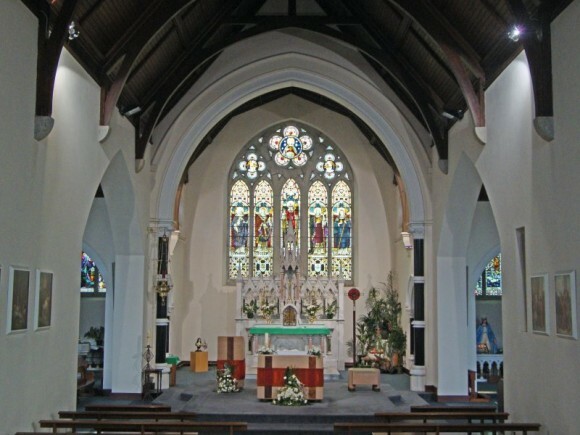 St Lazerian’s Church, Leighlinbridge, is dedicated to St. Lazerian, a patron Saint of the Kildare & Leighlin diocese. It was built around 1770 with modifications in the early and late nineteenth century. It was reordered internally in the early 1980s reflecting the Vatican II directives. This church replaced an earlier penal time chapel that existed in Coneykeare townsland in what is known as the Church Field.